6 BEDROOMS, 6 BATHS of WOW! Over 4200 square feet of absolute RENTAL MACHINE! 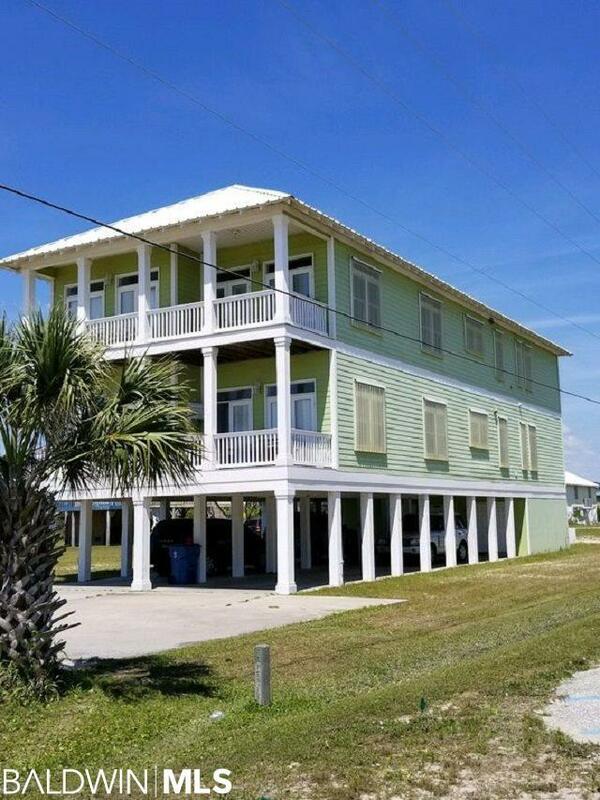 This REVENUE GOLDEN EGG producer is located just a block from the Gulf of Mexico and has an amazing panoramic view of the Gulf and Gulf Place. This amazing building rents like a duplex with a full 3 bedroom, 3 bath separate living area on each level with mirror image den, kitchen, and dining floorplan...over 2100 sqft on each level (top and bottom). 2 levels of revenue-- Top floor produced $59,000 in 2018. Bottom floor was not rented in 2018. Year to date rental top floor $16,000 Year to date bottom floor $22,000 Projected Revenue- Gross $65,000 each level = $130,000. Guaranteed beach access is just steps away and restaurants, festivals, shopping, and all of the Gulf Place attractions are just a short walk down the street. Sold completely furnished with tons of parking and lots of room for guests....bring the big family reunions, weddings, and large parties! Call today for your private showing. Buy now and reap the benefits of the peak rental season! Directions: Hwy 59 South To The Beach Road. Right Onto West Beach Blvd. Right Onto West 1st St.